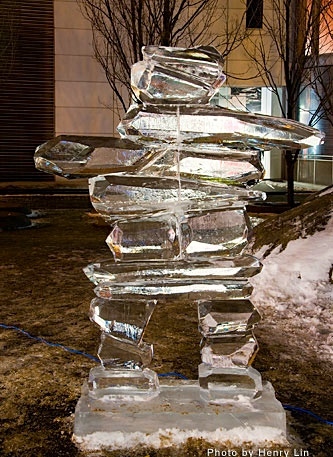 Okay, I’ll admit that sometimes ice is nice. 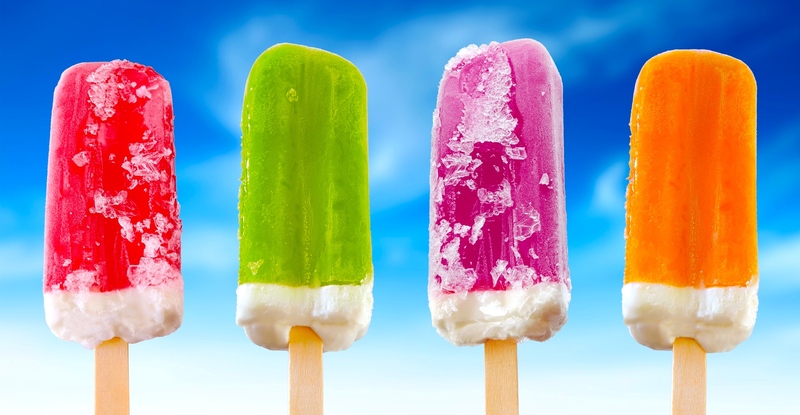 In a drink, or a rink, or a snow-cone, popsicle, ice cream. 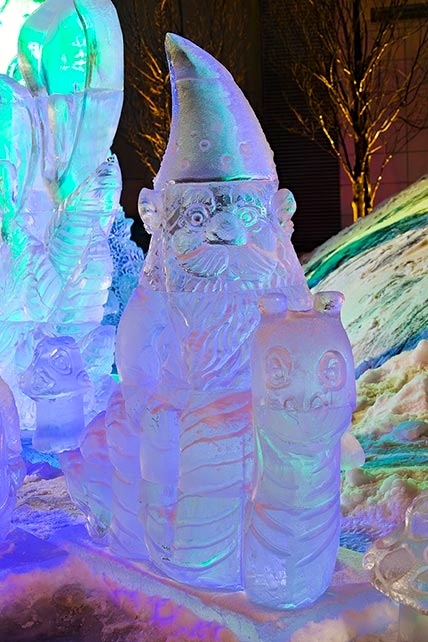 As an icicle, or a sculpture in a winter festival. On a sprain, on a hot day in any way, shape or form. 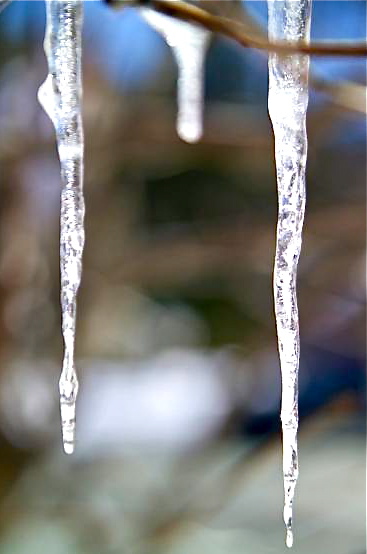 It’s even beautiful on trees and shrubs and other things, especially when you’re in a warm house or car, looking out. 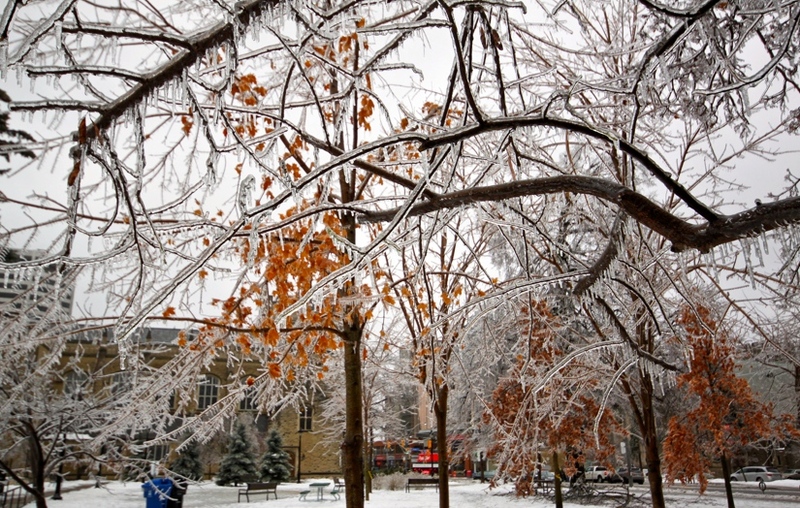 In fact, the beauty of ice-coated limbs and twigs can be breathtaking! 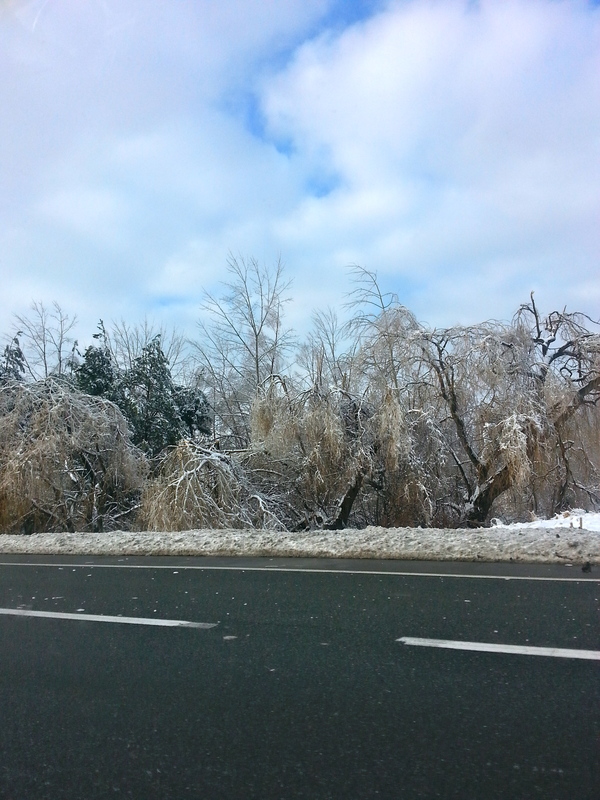 But ice is definitely not nice when it heavily coats power lines and breakable tree branches which land on those power lines and crash through the rooftops of houses and car windows. Or on people, cats, dogs, or bunnies. The power went out the Saturday before Christmas here in Toronto. I thought to myself “not nice!” The power had flickered around 11:00 p.m., but settled back down again, and I dozed a little in my comfy chair. I awoke to darkness at 2:15 a.m. (battery clock). 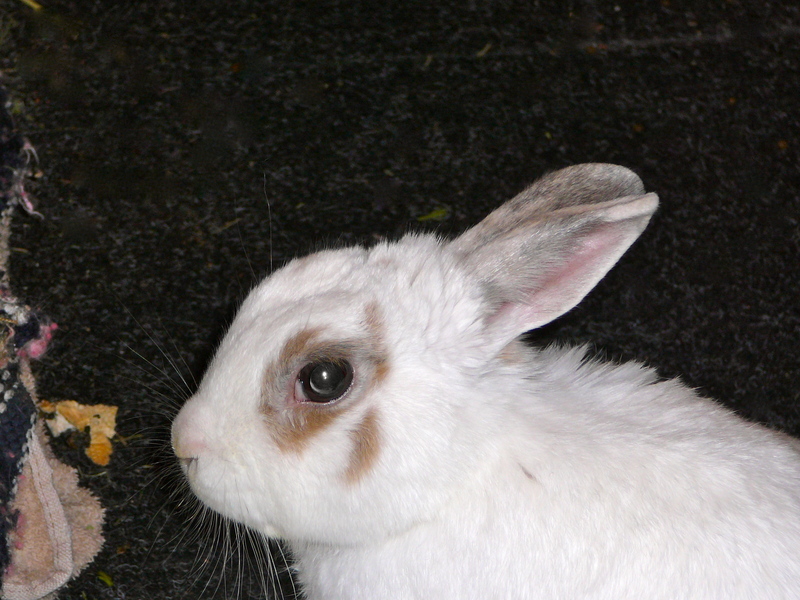 Power off, I groped for the small LED flashlight on my keychain, and headed for the stairs, figuring “I’ll just check on Mickey (my bunny), go to bed, and the power will be back on in the morning.” Only, of course, it wasn’t…. 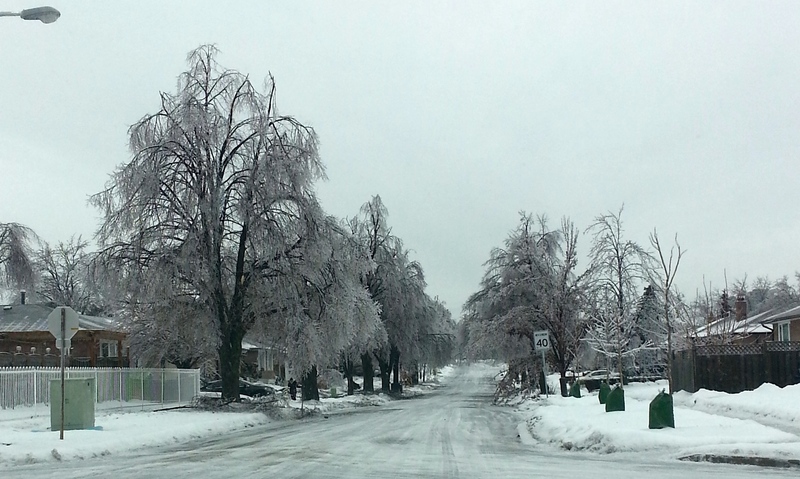 I called my daughter (phones were okay), and found they, and an awful lot of Ontario were without power too. Not nice. 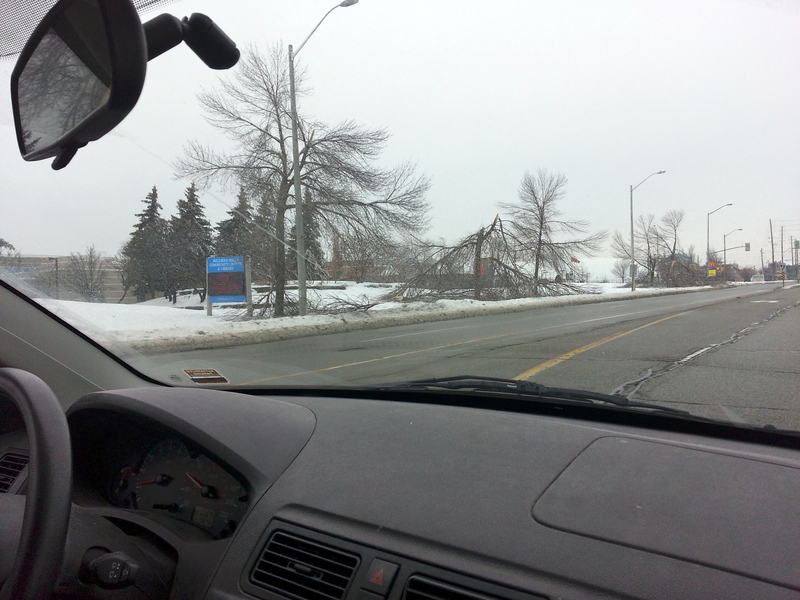 We couldn’t get through to Toronto Hydro, the t.v. and computers weren’t working, of course, but we had land line and cell phones. My daughter reminded me that we both have a portable local and short wave radio (for when the power is out….) 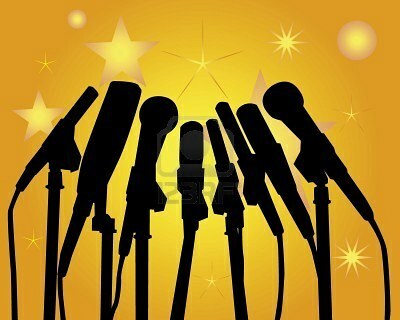 – with a light – and which runs on batteries (I have plenty), and after a brief search, voilá! I was once again connected with the world. 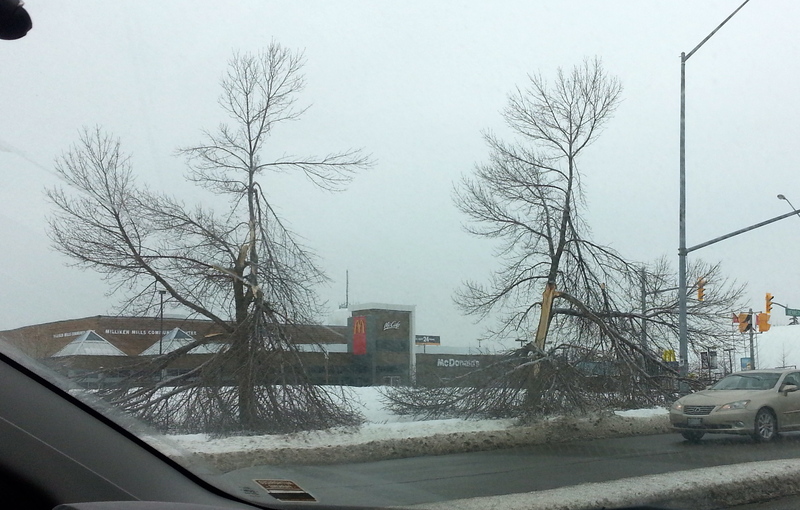 680 news assured me they would keep me up-to-date with the latest news on the storm. But there were no updates on Scarborough – none at all. My son-in-law drove my daughter to my place, to keep me company for the “short duration of the power outage.” (Yeah, right!) Being the great guy that he is, he made more than one visit over the next two days, bringing us hot food and drinks from Tim Horton’s and Country Style donuts (a couple of very few places in Scarborough with power), and for our sakes, he stayed in long line-ups, sometimes almost an hour. Greater love hath no husband / S-I-L! He’s a keeper. 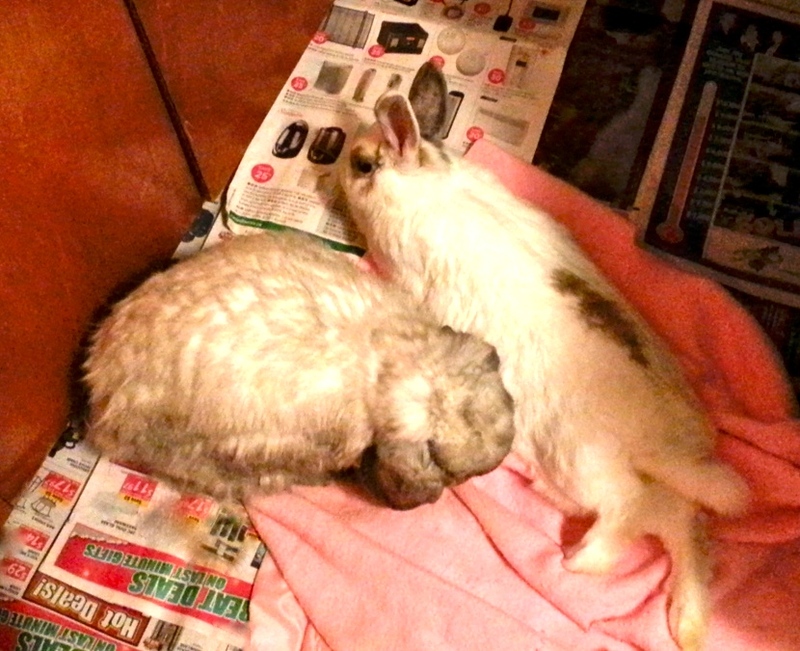 He stayed with bunny (Cooper) at their apartment, as it was cooling off slower than my house. 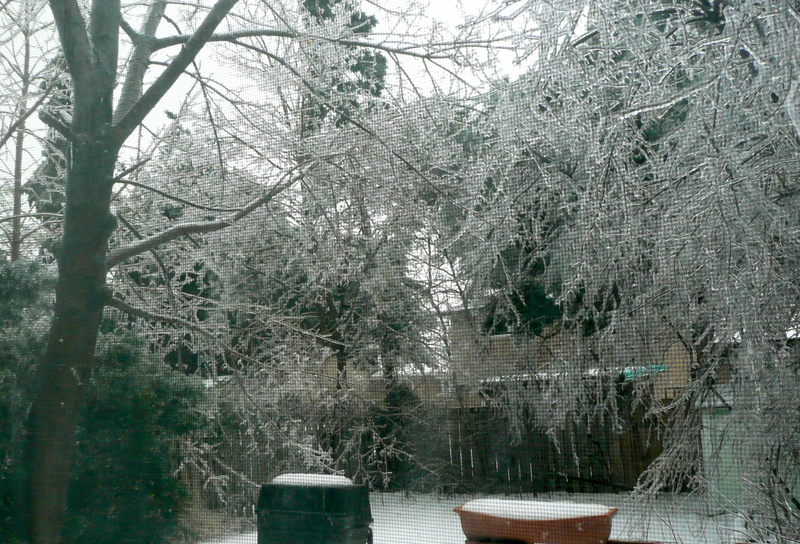 My car was buried in about three inches of ice – all over, and it was way, way too cold to try to chip it free. They told me their first trip to my house was like running a dangerous gauntlet at every knocked-out traffic light. 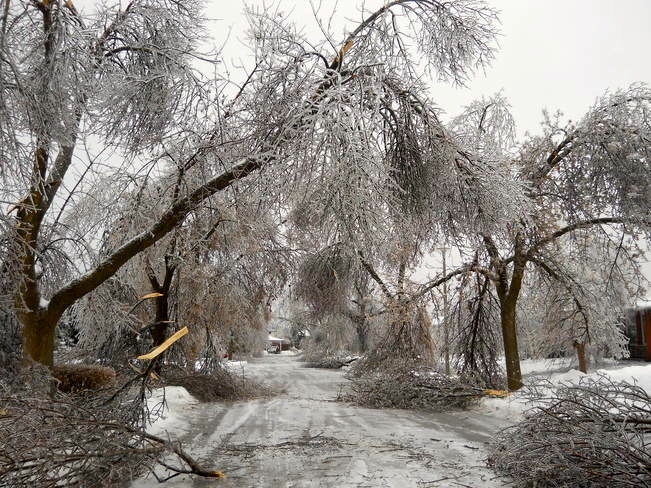 Snow and ice-sheeted streets – branches down all over the place, weird and wacky driving from panicked motorists – and in the areas with downed power lines there were no street lights or stop lights. In spite of the weather, traffic was still heavy, intersection crossings (with no police to direct drivers) were nightmarish. It was a severe storm, people! Day two we found candles – big ones, small ones, slender ones, fat ones and stubs. We also found matches, even if it took ten to get one that would strike. 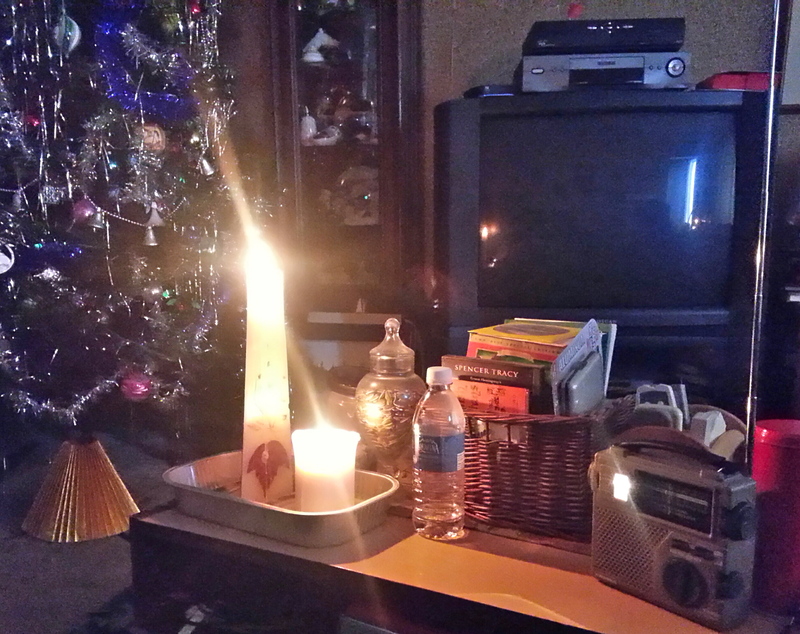 But in a weird, shadowy way, it was kind of beautiful, in the candlelight, assisted by the portable radio light. 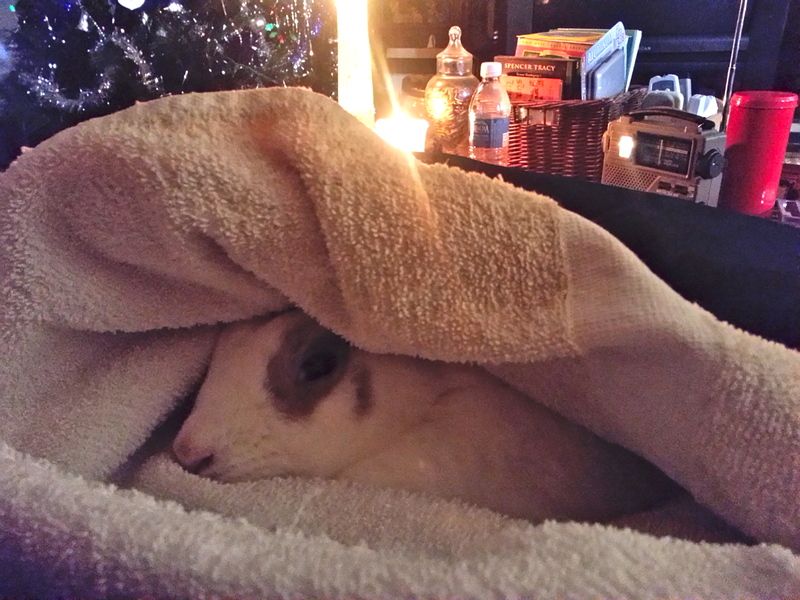 We even felt a teeny bit of warmth. Teeny. We took turns (in our bundled up bodies) holding Mickey, all wrapped up in a cuddly soft towel, and he seemed to enjoy it immensely. 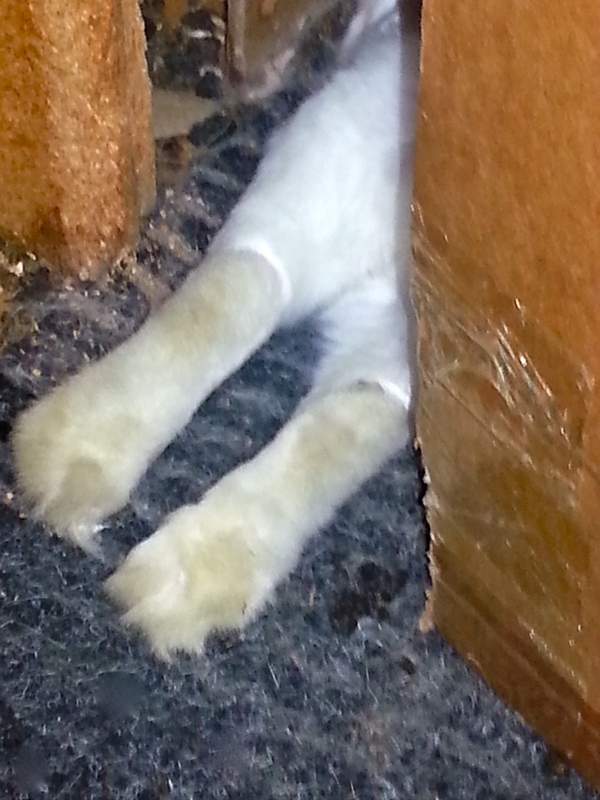 Because there was no wind (thank goodness) the house temperature just dropped degree by degree, not all at once. Our wonderful next-door neighbour ran a big generator from his truck and offered to split a line for us, to provide us with some basic power. I was thinking “small heater, toaster oven and fridge.” We thanked him and figured we’d be okay until morning, when he said he’d come and set us up. In the middle of the night, my daughter heard the generator go out (lack of sound woke her up) and in the morning we found out from our neighbour that thieves had taken the generator. He went out and bought another ($1500), because he was temporarily housing other people at his place, with lots of kids. Unfortunately, this generator wouldn’t be able to provide power for my house. I have no words to express my contempt for the thieves who stole this (or any) generator. 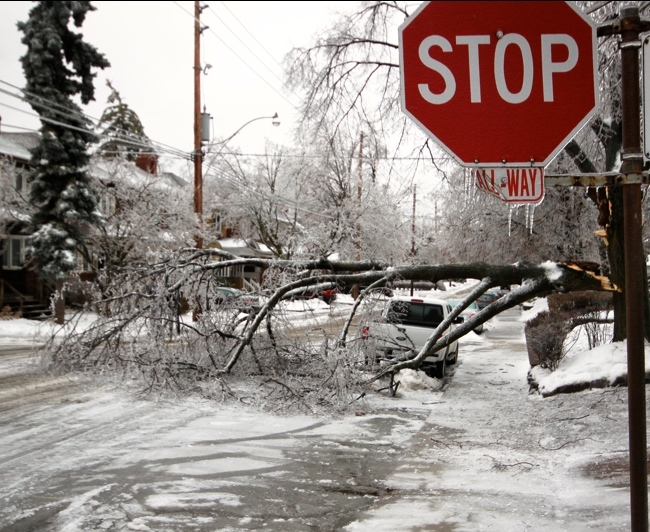 To make matters worse, by that time, we had been told to expect the power to be out until the Saturday after Christmas. Those thieves knew that generator was a lifeline for others – but they just didn’t care. 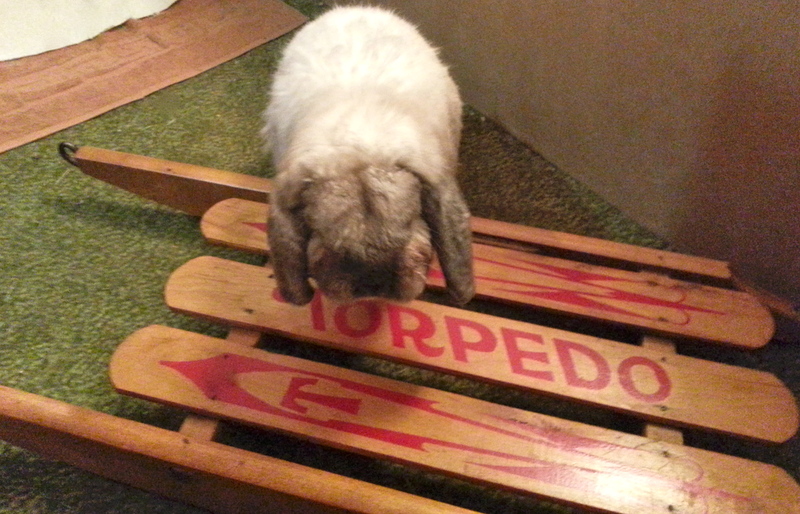 Members of our family in Peterborough phoned to find out if we were okay, and on learning our situation, insisted we pack up immediately (with both bunnies) and head for the north country. Which we did. Which was wonderful. Which was one of the best, most memorable Christmases we’ve ever spent. Although we found out from our neighbour that power on our street had been restored on Thursday, we decided to accept the generous invitation from our hosts to stay until the weekend, which we did. Later, in checking with other family members, I found one of my nephews not only had the power off for several days, but had a water pipe burst in a radiator, in their 113-year old beautiful house, and one of the downed tree limbs took out a side mirror on their car. They spent a lovely Christmas day with another nephew and family (also without power) by cooking their delicious turkey on the BBQ. Friends north and south of us had no power outage at all. 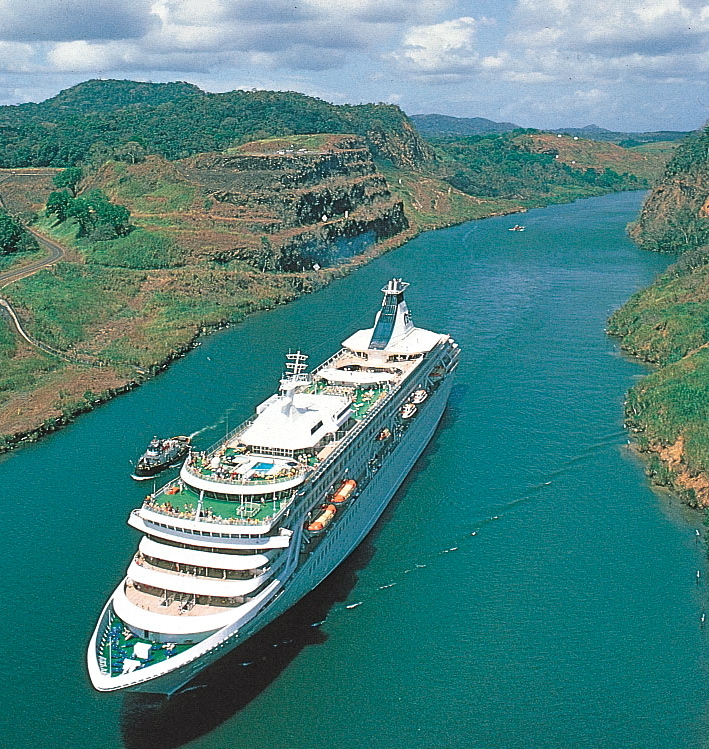 I even got one email back from friends who reminded me that they were “down south”, toasty-warm on a Panama Canal Cruise…. “you silly girl….”. We’re a little more prepared than a lot of our neighbours to the south, say I, smugly. We’re the hardy ones who have been doing winter for a long, long time. 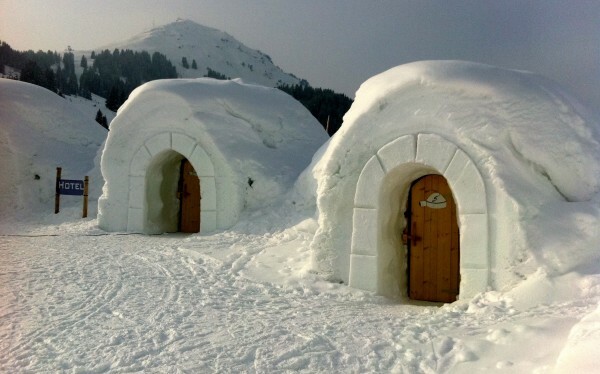 We know how to drive on winter roads, use snow and ice for pleasure – ice sculptures, ice skating, skiing, snowmobiling, snowboarding, skidooing, making snow angels, snowmen, and growing Christmas Trees. And, bottom line, Santa Claus lives at our North Pole. 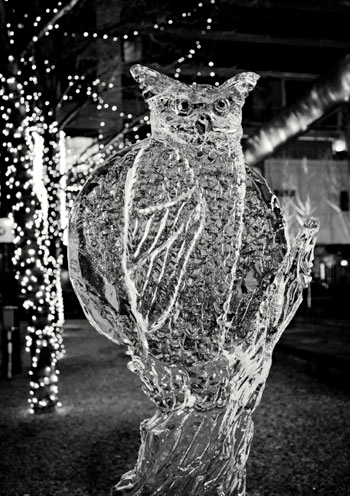 ART – so much beauty in the world…..
After the many nasty run-ins we’ve had with our recent “Ice-Is-Not-Nice” ice storm, I think we might all enjoy looking at ice from a different, more artistic point-of-view! 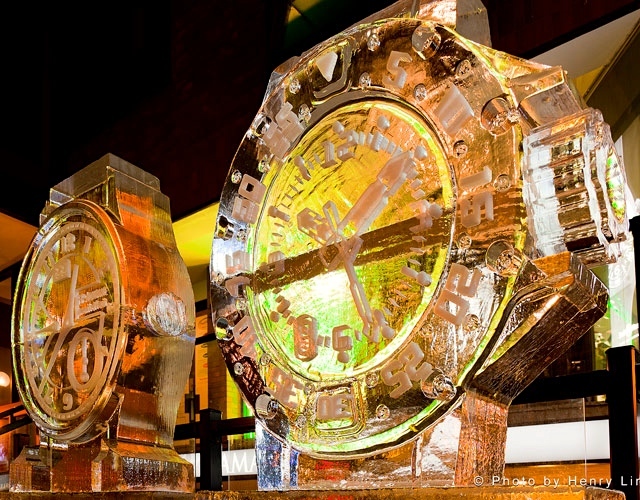 Since 2006 there’s been a wonderful annual event held in Toronto called the Bloor-Yorkville IceFest. 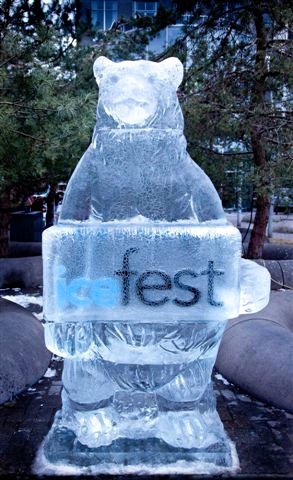 2014 finds Toronto continuing the tradition and hopefully you will be able to attend the Ninth Annual Icefest on either Saturday February 22nd or Sunday February 23rd. 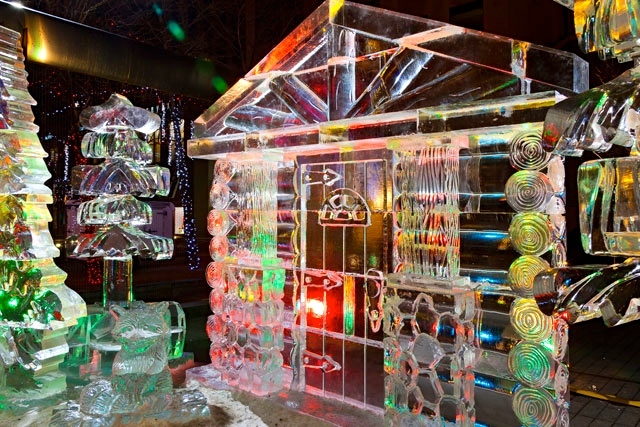 Better yet, come for the whole weekend and enjoy all of the festivities and celebrate winter in the city! 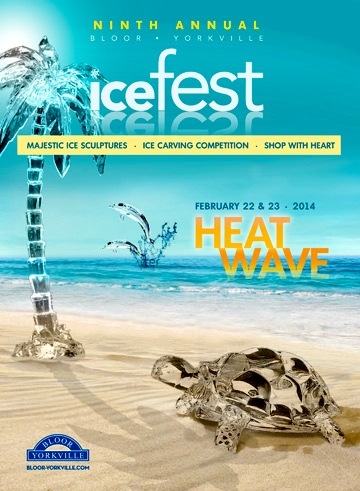 This years sculpting theme is “Heat Wave”. The location is Yorkville Park in the Bloor/Yorkville area (Bellair St. & Cumberland) and the time is from 12 noon until 5 pm both days. 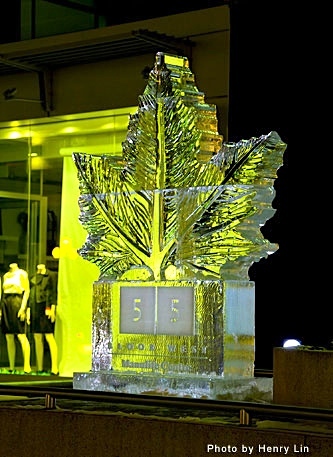 I’ve selected some beautiful sculptures from previous years (below) to give you a taste of what’s to come in the upcoming Bloor-Yorkville IceFest! 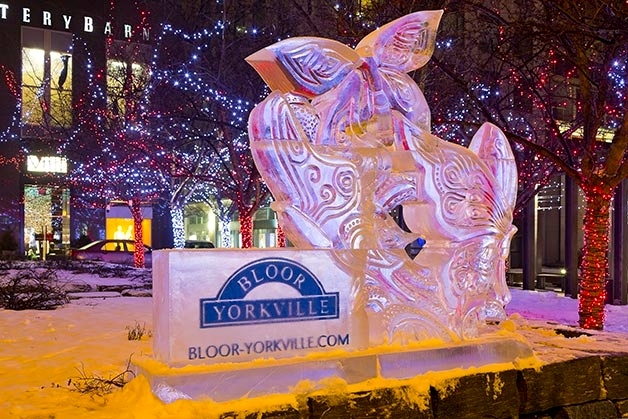 The 2014 Bloor-Yorkville IceFest will feature an array of spectacular ice sculpture displays, events and demonstrations for the public to enjoy. 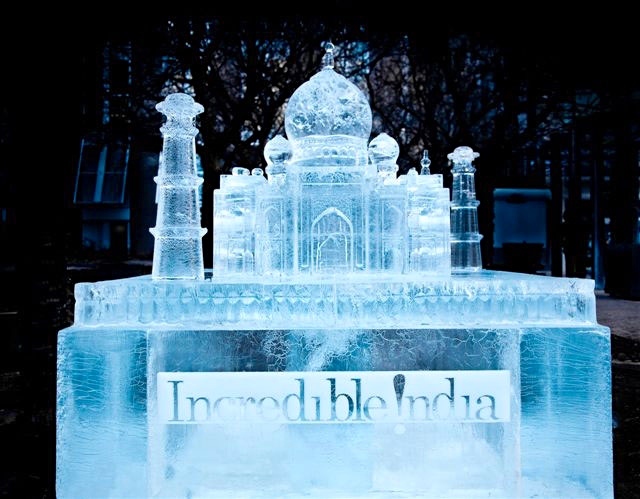 See the magic of ice come to life as artists put the finishing touches on this amazing winter scene, crafted from an astounding 20,000 lbs. of ice. 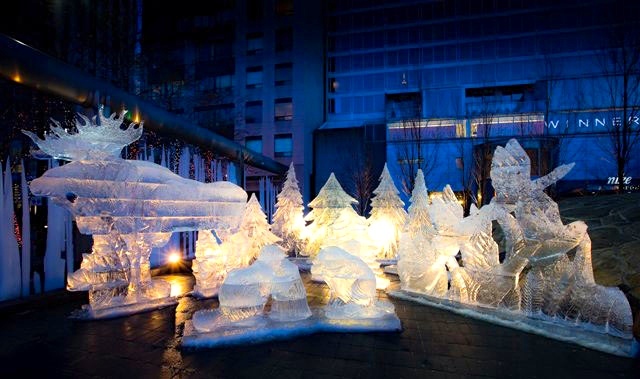 Come marvel at this year’s “Heat Wave” ice display, bringing the tropics to Toronto! 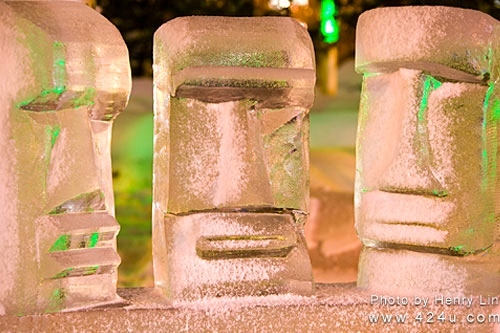 Ice sculptures will range from palm trees, tropical flowers, and parrots, to a sail boat, schools of tropical fish, a sea turtle, or maybe even a tiki bar! 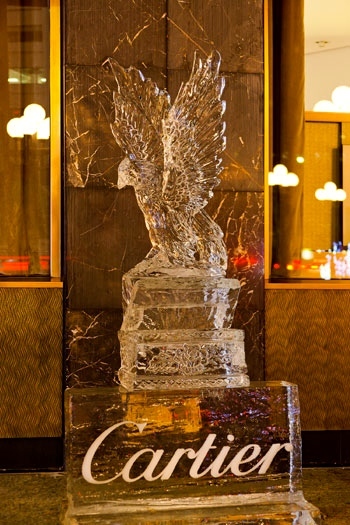 The 2014 14th Annual Sassafraz Ice Carving Competition starts Saturday at noon. 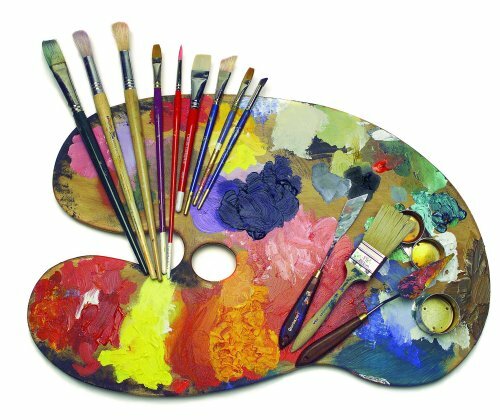 Visitors can watch, and are invited to cast their vote for the People’s Choice Sculpture, to be announced at 5:15 p.m. Saturday. 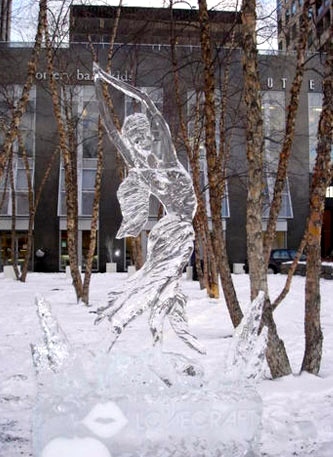 The Festival will also include ice carving demonstrations throughout the neighbourhood and street closure both days on Cumberland Street and Bellair Street. 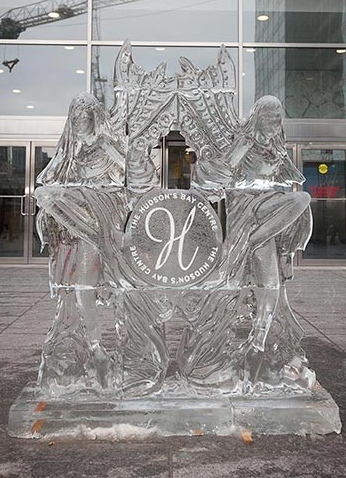 There will be a live DJ on the street with music provided by “Bellosound.” February is Heart Month and the Bloor-Yorkville BIA supports the Heart and Stroke Foundation during IceFest. For a donation of $2, visitors can sample tasty “Maple Syrup Taffy” from 1 pm – 4 pm each day. “Iced Kiddie Cubes” with a collectible toy inside will be distributed at 2 pm each day for a $2 donation. Air was brittle, fine snow-crackled. 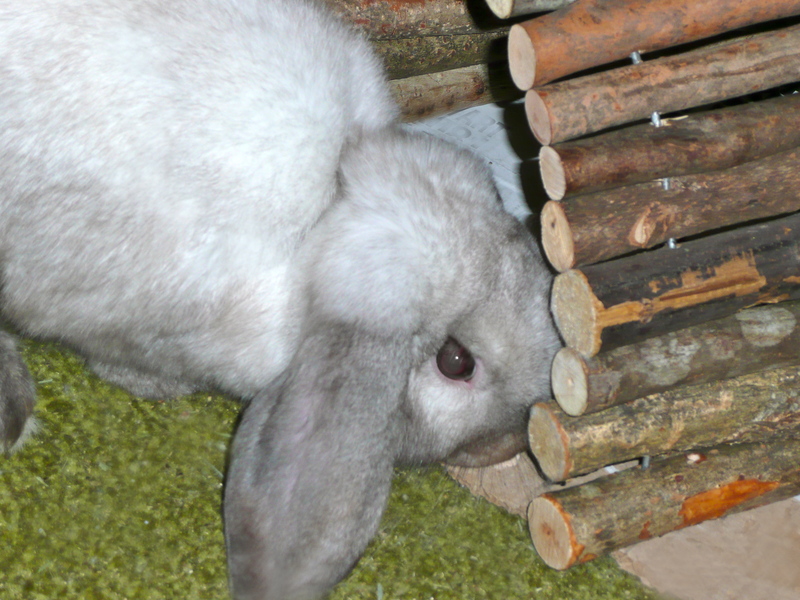 …..And the cold crept in. The shadows danced, and sounds were muted. …..Then the cold swept in. Björk Guðmundsdóttir: born 21 November 1965, known as Björk, is an Icelandic singer-songwriter, multi-instrumentalist and producer. Her first public appearance was on Icelandic Radio One in 1976. Her first solo album was released in 1977 (when she was 12 years old.) Her musical style is eclectic and she has achieved recognition in alternative rock, jazz, electronic dance music, classical, and avant-garde. 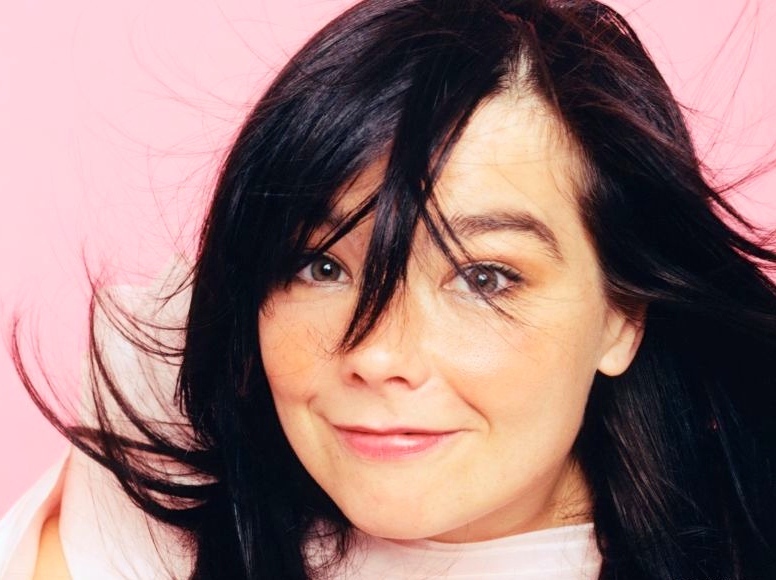 Before her solo career Björk was a member of a number of Icelandic bands, most notably The Sugarcubes. Three of Björk’s 1990s singles charted in the UK Top 10. Her record label, “One Little Indian”, reported that by 2003, she had sold more than 15 million albums worldwide. Awards: four BRIT Awards, four MTV Video Music Awards, one MOJO Award, three UK Music Video Awards, and (2010) the Polar Music Prize from the Royal Swedish Academy of Music in recognition of her “deeply personal music and lyrics, her precise arrangements and her unique voice.” She has been nominated for 14 Grammy Awards (and two for art direction on her album sleeves, done by others), one Academy Award, and two Golden Globe Awards. She won the Best Actress Award at the 2000 Cannes Film Festival for her performance in Dancer in the Dark. Ranked twenty-ninth in VH1’s “The 100 Greatest Women in Music”, eighth in MTV’s “22 Greatest Voices in Music“, and sixtieth in Rolling Stone’s “100 Greatest Singers of All Time“. Sigur Rós is an Icelandic post-rock band with melodic, classical, and minimalist aesthetic elements. Sigur Rós was formed in 1994 in Reykjavík by singer and guitarist Jón Þór Birgisson, bassist Georg Hólm and drummer Ágúst Ævar Gunnarsson. 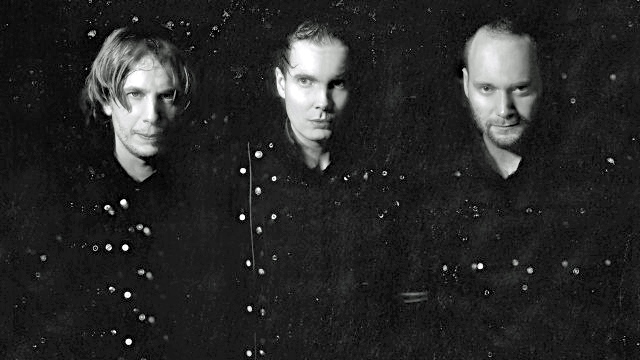 Sigur Rós is known for its ethereal sound, frontman Jón’s falsetto vocals, and the use of bowed guitar. The band is named after Jón’s sister Sigurrós Elin. International acclaim came with 1999’s Ágætis byrjun (“A Good Beginning”). The album’s reputation spread by word of mouth over the following two years. Soon critics worldwide hailed it as one of the great albums of all time, and the band was playing support to established acts such as Radiohead. To date they have completed seven studio albums, one remix album, three extended plays, one soundtrack album, fourteen singles, nine music videos and two video albums. 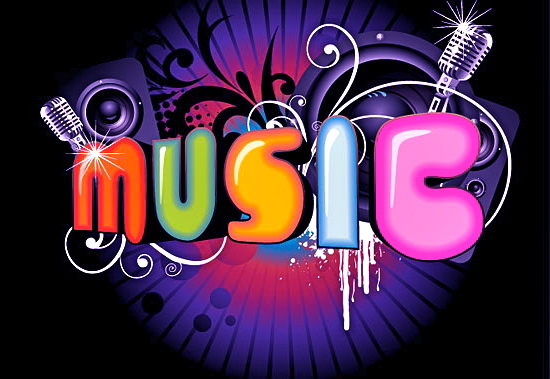 Their music has been featured in both film and television and they continue to record and tour extensively. Agent Fresco are an Icelandic band, combining the pop, alternative, art and math-rock genres. The band consists of Arnór Dan Arnarson – Vocals, Þórarinn Guðnason – Guitar / Piano, Vignir Rafn Hilmarsson – Electric Upright Bass / Bass / Synth and Hrafnkell Örn Guðjónsson – Drums. The band formed in 2008 just weeks prior to competing in the Músíktilraunir (An Icelandic version of Battle of the Bands) which they won. They also won ‘best guitar’, ‘best drumming’ and ‘best bass playing’. In 2009 Agent Fresco were also named as the best new artists at the Icelandic equivalent of the Grammies – the Íslensku Tónlistarverðlaunin. Agent Fresco are currently working on their second album. 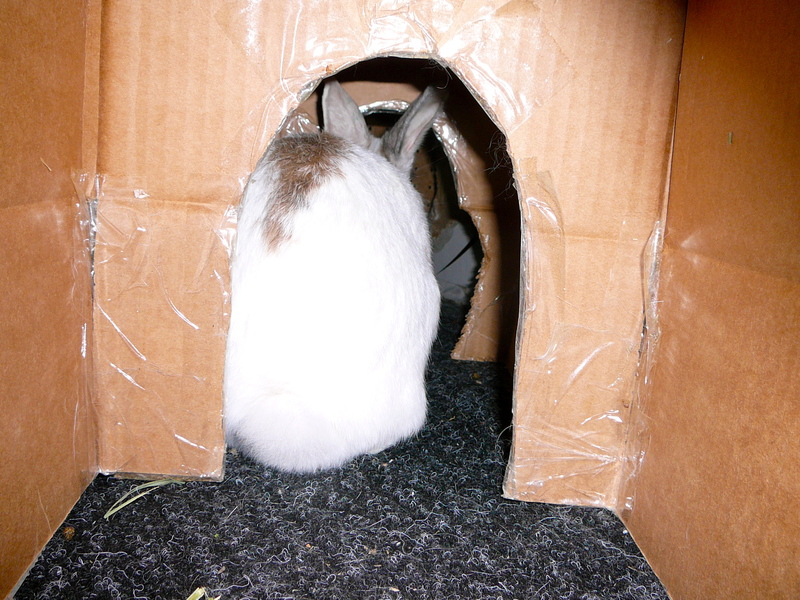 (Eavesdropped on some bunny conversations during the ongoing ice storm……..